If you are a fan of chicken fingers but not a fan of deep-fried foods - this is a recipe for you! They are spicy and crispy and super easy to make. I like to serve them with a mix of blue cheese and hot sauce. So yummy! 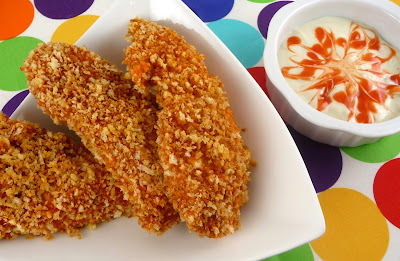 These would also make a great chicken finger sub or an easy appetizer for a Superbowl party - just cut up the chicken tenders into bite-size pieces! I used a tip from this recipe - and I toasted my breadcrumbs in a bit of olive oil before I used them to coat the chicken tenders. This gives them an extra crunch and that awesome golden color - that you usually only get from frying. 1. In a large skillet, heat 1 tbsp. of oil and add 1 cup of the panko bread crumbs to skillet. Continue to stir until crumbs are a deep golden brown (but not burnt), about 7 minutes. Repeat with remaining 1 tbsp. oil and 1 cup of crumbs. Place in a shallow bowl until ready to use. 2. Put flour in another shallow bowl and hot sauce in another bowl. Season flour with salt and pepper. 3. Dip chicken tenders in flour - shaking off excess. Then dip in hot sauce. Lastly - dip in panko and then place on a baking sheet. 4. Bake in a pre-heated 350 degree oven for 20 mintutes (or until chicken registers 170 degrees on an instant thermometer). 5. Serve with blue cheese and additional hot sauce. My family would love this.....with chili sauce, and watching TV. Yours look very delicious. 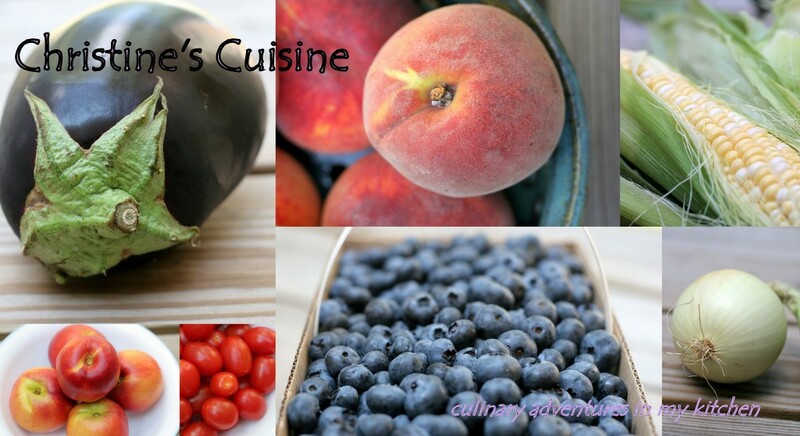 Looks delicious...on my menu for next week. These were awesome. i made them last night and had no complaints!